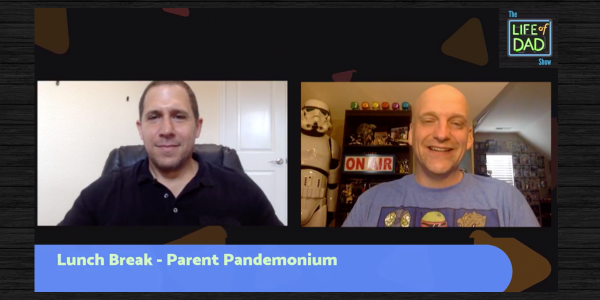 What does your Parenting Pandemonium bracket look like? Where is the worst place for a tantrum? Where does kids asking for a phone rank in the tech bracket? Let us know as the Lunch Break hosts, Art Eddy and Jon Finkel share their thoughts as they dive into the world of parenting! Here is some of the viewers thoughts on this topic. Kelly Clark · kid losing his lunch in the back seat while driving down the interstate. Jorge Cerecedo – I don’t wanna go potty will always win. Patrick Tellez · Time to invent baby airplanes lol. Shawn Kingbird · At the Zoo!! We’re here because you wanted to come here!. Lol. Ran Kilpatrick · Worst place for me is the middle of a doctors appointment! My own! !